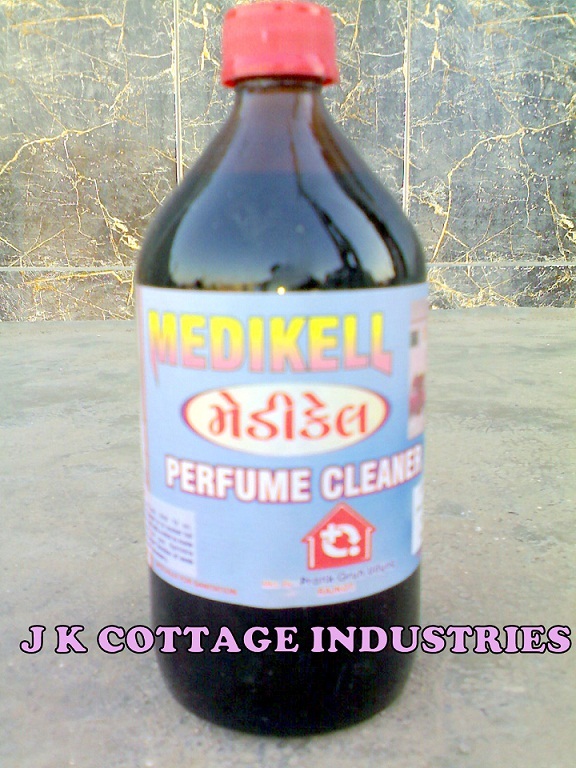 First time in the Phenyl Industry, the J K Cottage Industries introduce the Simple and Easy method to make Black Phenyl. We offer the “UTTAM” Black Phenyl Concentrate to make black phenyl. Just you need to add water in our phenyl concentrate and Black Phenyl is ready for use. No need to add any other chemical. From our 1 litre Black Phenyl Compound you can make 8 (1:7) liters Black Phenyl, with a powerful fragrance. Simple & easy method to make black Phenyl. Drives away the mosquitoes, cockroaches, tiny insects. 5, 20, 35, 50 & 220 Liter Pack.